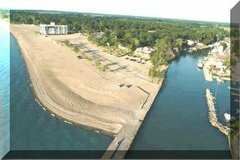 Grand Bend Ontario Real Estate Info with Larry Broadley: READY TO REINVENT YOUR SPACE? READY TO REINVENT YOUR SPACE? started on the right track. at least 10 % for unexpected costs. to come up with an overall design and plan. you or your designer to implement your plan. can enjoy your amazing new space. renovators and plan ahead for success. Central Office: 3250 Bloor Street West, East Tower, Suite 1400, Toronto, ON M8X 2X9 ® Registered trademark of Mortgage Intelligence Inc. © 2007, Mortgage Intelligence Inc., all rights reserved. Posted by Larry Broadley at 8:29 a.m.
That`s undoubtedly true, the Canadians are really zealous about home improvement and especially the green house scheme which is getting more and more popular. As a Toronto realtor I think that`s a great period to get down to work and start to remodel your home to be more eco-friendly, I`m very contented our clients are asking many questions about this. Your article is really instructive, I would definitely recommend it.